Call 541-316-5026 to schedule your first appointment. Have you noticed gradual changes in your hearing? If so, you could be one of the nearly 36 million Americans who have some level of hearing loss *, but the good news is that you can take practical measures towards addressing your hearing issues. A visit to our Miracle-Ear® hearing aid center in Bend can get you on the right track to hearing better. Our caring hearing care specialists can give you an overview of our products that can improve your ability to hear the important conversations around you. After we give you a free hearing test**, our experienced specialists can help you find the best match for your needs. Hearing aids featuring our GENIUS™ Technology come with innovations that allow you to hear what you actually want to hear, and we can show you how you can fine-tune your sound quality with the GENIUScontrol app† on your Apple or Android smartphone. Don't hesitate to turn to Miracle-Ear for assistance if you've been looking for hearing aids in Bend, OR. Call or visit our hearing aid center to learn more about why Miracle-Ear is America's most recognized brand of hearing aids and why so many customers seek out our support. We're dedicated to customer satisfaction, so we offer a risk-free, 30-day trial††, and a lifetime of ongoing care for those who choose to use our hearing aids. Discover and experience the Miracle-Ear® advantage today. Shanelle N. Vega-Haux, BC-HIS, A.A.S., is the CEO of the Central Oregon Miracle-Ear centers, including Bend, Madras, Prineville and Burns. She is a licensed and trained Board Certified Hearing Instrument Specialist and holds active licenses in the states of Oregon, Washington and California. She graduated with an Associate�s Degree in Applied Science Hearing Instrument Specialists. Shanelle continues to study hearing and the challenges that people can face on a daily basis. In addition, she continues to support the International Hearing Society to provide the hearing impaired with the quality of life they truly deserve. 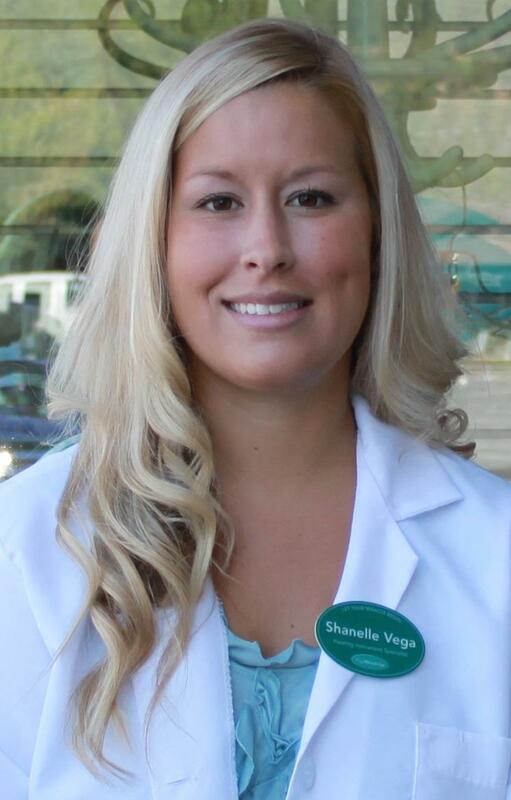 Shanelle's true connection and passion is with her patients and she strives to establish/maintain an excellent report with all of her long-time patients. She has enjoyed enhancing people's lives through the Miracle-Ear brand for over 10 years! Denise has over 26 years of industry experience and has worked at Miracle-Ear over 16 years. Denise's favorite part of being a part of the Miracle-Ear team is helping people hear better. 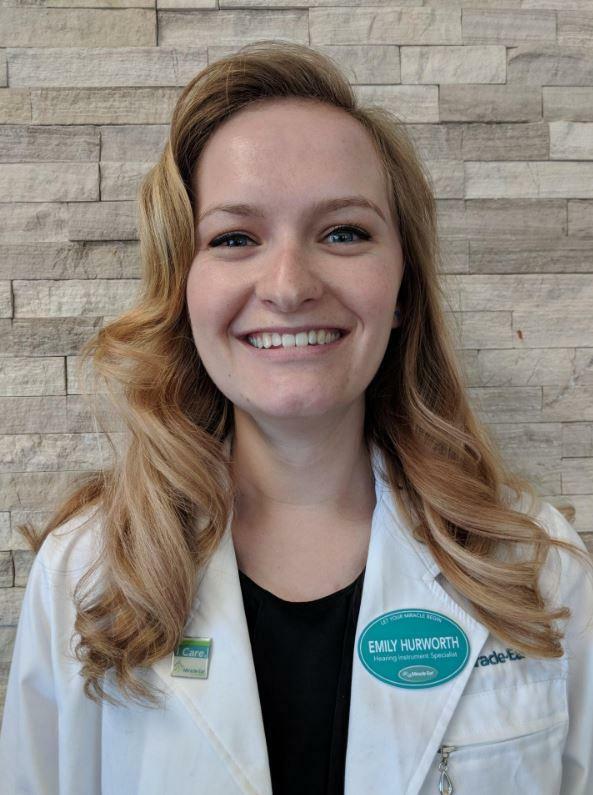 Emily N. Hurworth is an IHS certified Hearing Specialist. She is a Bend native and has a dual degree in Marketing and Management from Southern Oregon University, in Ashland. Emily enjoys volunteering at community events, and participating in local theatrical productions, as well as skiing and camping in beautiful Central Oregon. Emily loves meeting and working with people from all different walks of life and is grateful for the opportunity she has in providing support and solutions to the hearing impaired. 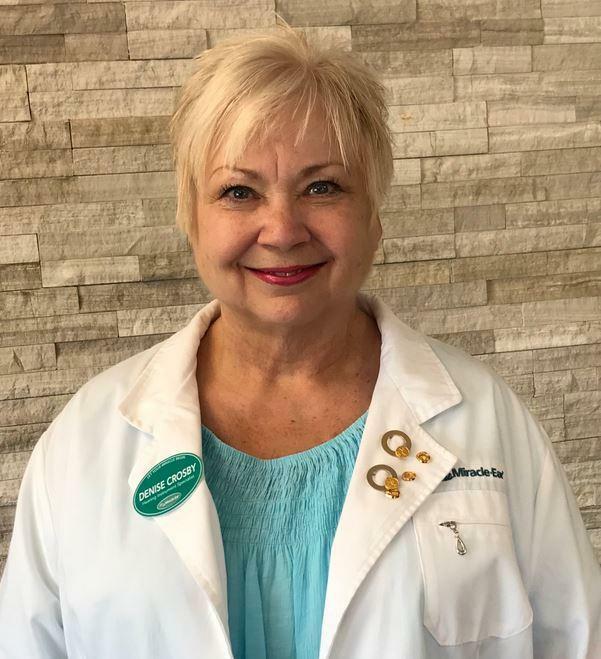 Her favorite part of working for Miracle-Ear is the newfound clarity her patients have when they hear with quality hearing aids for the first time. Schedule an appointment to meet with Emily and find out how we can get you to better hearing today! My sercvice with Miracle Ear was very good and anything I needed was taken care of. Very friendly staff here at Bend and most importantly I can hear well with my hearing aids. I can hear better now! I would recommend Miracle-Ear because they were very nice people, helpful and will listen to me and fix my problem Im having now (not later)! "This company does a great job and gives me good service. I enjoy my hearing aids and they work well!" "I have had a great experience at the Bend office with Martin and the great office staff." "I had great service from Martin Little at Miracle-Ear in Bend, Oregon. I am so happy to be hearing well again!" "My hearing specialist is so helpful and makes time to help me with my hearing aid services." "I can now enjoy conversation with individuals and groups without being embarrassed and having to say "what did you say?" I can't believe how much I missed before getting my hearing aids." My hearing aids are finally adjusted so I can hear well. I can thank Emily for that. I would recommend them to family and friends.